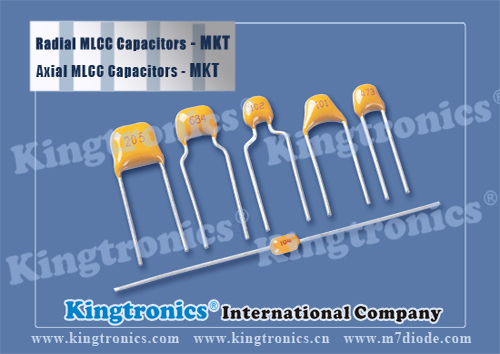 Speaking of the most popular capacitor in the market, we never neglect MLCC-multilayer ceramic capacitor, now the capacitance scope is expanded to 0.1pF - 22uF as the ceramic material technology continues to get advanced. 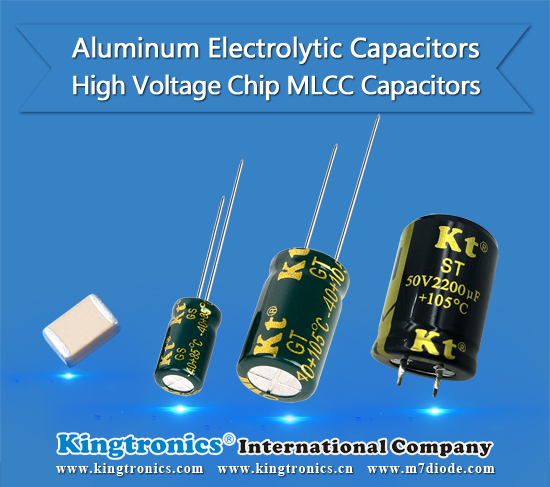 Kt Kingtronics Tells You What is Mono Capacitor? "Mono" refers to a "monolithic" or "multilayer" capacitor. This just refers to the manufacturing process whereby the capacitor is formed by binding multiple, thin sheets of ceramic on which electrodes have been painted. As the ceramic material technology continues to advance, more and more capacitance is realized in the same case sizes compared to previous years. Kingtronics produce and sell ceramic capacitors all types. 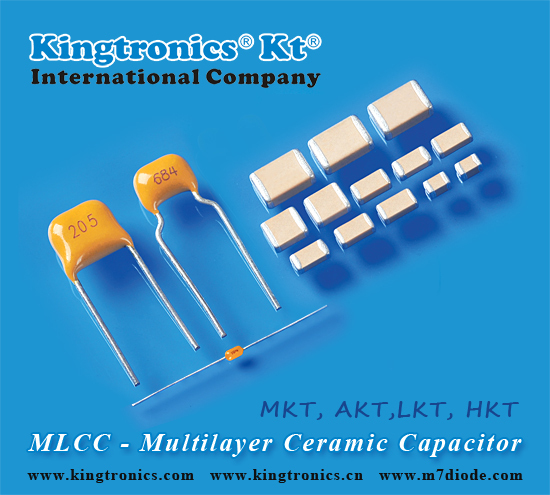 Multilayer ceramic capacitors are available in four series in Kingtronics: AKT Series Axial Lead, Axial MLCC Capacitors(Multilayer Ceramic Capacitors), MKT Series Radial MLCC Capacitors(Multilayer Ceramic Capacitors), LKT Series Chip MLCC Capacitors(Multilayer Ceramic Capacitors) (6.3V to 50V), and HKT Series High Voltage MLCC Capacitors(Multilayer Ceramic Capacitors) (63VDC to 4000VDC).